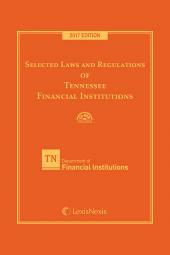 LexisNexis Matthew Bender is proud to present the Second Edition of Taxation of Financial Institutions, completely updated, rewritten and reorganized by the authors at KPMG LLP as of December 2013. 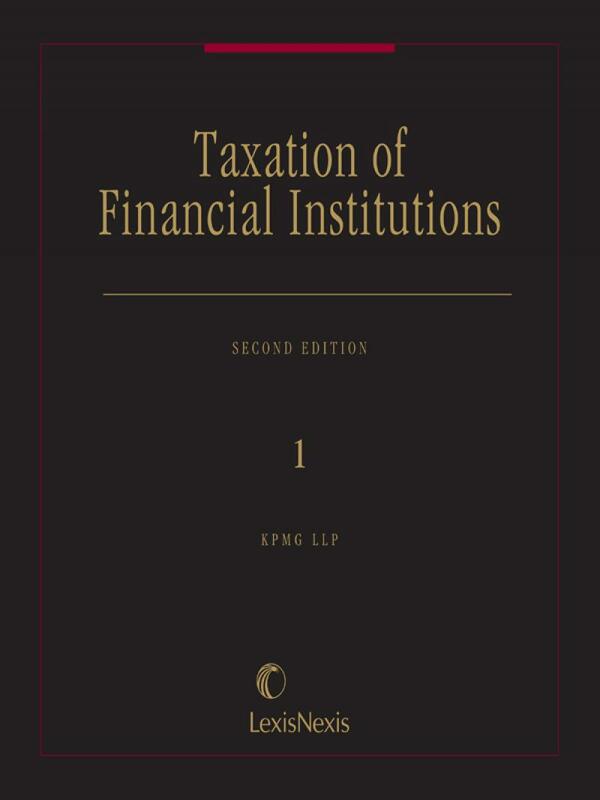 This product includes numerous new chapters and clarifies the rapidly changing area of financial institution taxation with a wealth of information on tax laws, regulations, IRS rules, and insight from the top professionals in the field. 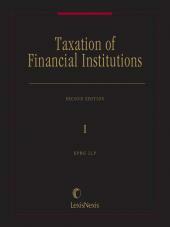 • New legislation on the Bank Shares Tax in Pennsylvania. 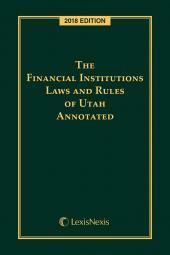 2 Volumes; Loose-leaf, updated semiannually.  KPMG LLP, the audit, tax and advisory firm (www.us.kpmg.com), is the U.S. member firm of KPMG International Cooperative ("KPMG International"). KPMG International's member firms have 140,000 professionals, including more than 7,900 partners, in 146 countries.